The great thing about the Mac Mini is that you have a full on Mac computer, but if you already have a display, keyboard, and mouse handy, you don’t have to invest in an iMac or MacBook Air laptop. But what if you don’t have a display? Or what if you’r editing in the field and you just want a second monitor for some extra space while you cut your film on your laptop? Well, if you have an iPad, then Luna Display has you covered. 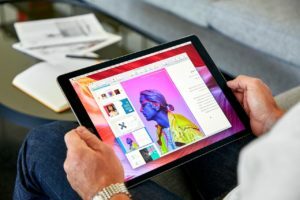 There are software apps that have been able to do what Luna Display does, but they essentially trick your mac into believing that your iPad is an extension of your existing display. The results are sketchy at best. On top of that, through this software hack, users get no benefit from graphics acceleration, or support for Apple’s Metal architecture. But through the Luna Display port, it becomes a touchable, external monitor that can get all the benefit of higher functions, as they were meant to be. But the developers of Astropad had a better idea. 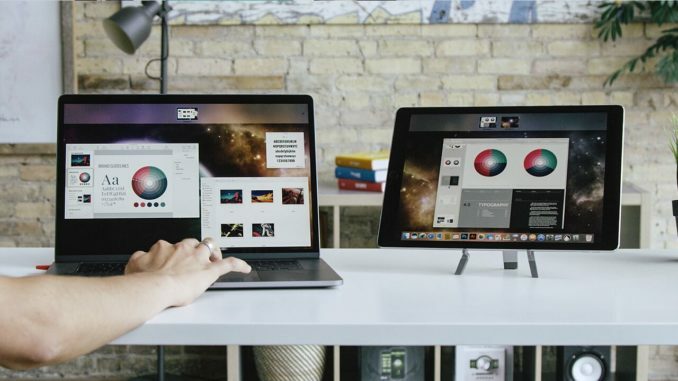 Astropad is drawing software that uses the iPad into a professional “Wacomb” like graphics tablet for your Mac. 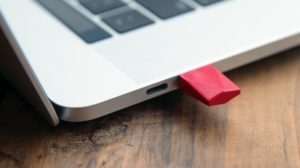 So, applying the lessons learned from Astropad, they came up with Luna Display, a tiny little dongle, that’s available through USB-C or mini DisplayPort, that will enable you to use your iPad as a monitor, or a secondary screen for your MacBook Pro. 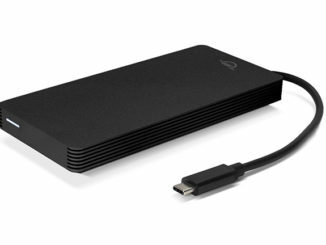 Then, all you need to do is download and install the Luna software on the Mac Mini, and the Luna app on your iPad, and then connect via WiFi. There is one downside though. You have to have a display connected to the MacMini in order to properly configure Luna Display for use with the iPad. But once you do, you are ready to use it as a primary or secondary display. Luna Display also allows the iPad to work as a secondary display on your MacBook Pro, iMac, or other Mac as well. But the best part is, that you don’t have to give up your iPad’s mobile functionality for it to work with your Mac Mini. If you have a strong WiFi connection, Luna says there should be zero latency. And since it’s WiFi, you can take your display with you anywhere nearby and interact with your Mac through the touchscreen interface on your iPad. But if your WiFi isn’t all that hot, you can also just connect via USB cable. And then, when you need to go back to iOS, all you need to is swipe up to get out of the Luna app, and you’re back in the iOS ecosystem. Sets Up in Seconds: Simply plug Luna into your Mac, connect your devices to the same WiFi network, and launch the free app. Your Mac will automatically recognize your iPad as a second display. Connects Over WiFi: Luna was designed to work wirelessly over your existing WiFi network. If WiFi is unavailable, connection over USB is also a reliable alternative. Lightning Fast & Crystal Clear: Luna Display runs on proprietary LIQUID Technology, which guarantees crystal clear image quality, reliable performance, and wireless flexibility. Fully Apple Compatible: Luna acts as a complete extension to your Mac, with full support for external keyboards, Apple Pencil, and touch interactions. It literally turns your Mac into a touchable device. The Luna Display adapter is available for $79. Seems a bit pricey for a dongle the size of a dime, but then again, if it does what they say it does, it could be literally worth it’s weight in gold.